Leveraging knowledge from geographically spread R&D subsidiaries is a crucial source of competitive advantage for multinational enterprises (MNEs). The authors investigate the determinants of knowledge transfer to and from newly acquired subsidiaries in the context of emerging economies and advanced economies. Based on evidence from the global wind power industry, it emerges that the determinants of ‘traditional’ parent-to-subsidiary knowledge transfer and ‘reverse’ transfer are more complicated than imagined. In today’s knowledge economy, multinational enterprises (MNEs), are increasingly competing on their R&D capabilities. Their R&D investments are continuing to rise at home, as well as, in many of their host countries. By establishing R&D subsidiaries in foreign locations, MNEs can, among other things, gain access to different national innovation systems, facilitate technology adaptation and create new alliances with customers, competitors, universities and public R&D institutes. As the sources of knowledge become more dispersed geographically, MNEs utilise their global presence to enhance their innovation capabilities. As a result, R&D internationalisation has become one of the key factors in shaping MNEs’ competitive strategy. The phenomenon of R&D internationalisation is important for international business research both within the context of Advanced Economy MNEs (AMNEs), as well as Emerging Economy MNEs (EMNEs). However, the bulk of the literature has explored it only with respect to AMNEs. As EMNEs rapidly appear on the global competitive landscape in a range of industries, from stable, mature industries to turbulent emerging industries, we study and contrast the R&D internationalisation of EMNEs with respect to AMNEs. In explaining R&D internationalisation, the current research on AMNEs has largely focused on the twin strategies of competence exploitation and competence creation. Under competence exploitation, the root technology is created in the home country – often at a central R&D unit co-located with headquarters – and the foreign subsidiary mainly exploits its parents’ competencies. With competence creation, the MNE gives a more creative role to the foreign subsidiaries and expects them to generate new knowledge for use beyond their local context. Knowledge flows between headquarters and R&D subsidiaries. MNEs are visualised as networked organisations and with knowledge embedded in different MNE subsidiaries which can be transferred and recombined within the firm. The MNE headquarter is thus viewed as the network orchestrator and an integrator of the intraorganisational knowledge flows amongst the diverse R&D subsidiary units with the purpose of developing innovation capabilities. As R&D units upgrade their innovation competencies, they exhibit innovation catch-up with the headquarter and other R&D units within the MNE. We use global wind power industry as the research setting. The wind power industry was born in the aftermath of the 1970s oil crises. It can be seen as an emerging, high technology industry characterised by extremely uncertain environments. The fast changing technologies and evolving business models of the industry can completely alter the nature of competition. Specifi cally, to compare and contrast R&D internationalisation, we undertake comparative case analysis of an AMNE innovation leader with an EMNE fast-follower. The AMNE we study is the industry leader, Vestas Wind Systems A/S (Vestas), from Denmark, while the corresponding EMNE is Suzlon Energy Limited (Suzlon), from India that succeeded in becoming one of the world leaders in the manufacturing of wind turbines within a decade of its establishment. Both firms have succeeded in establishing an extensive network of foreign R&D subsidiaries. This is a mixed method study that uses two mutually reinforcing datasets, qualitative and quantitative. The qualitative data was obtained through semi-structured interviews with R&D executives of the focal companies, their subsidiaries and industry experts from Germany and Denmark. In addition, we used available secondary sources such as academic cases and papers, company reports, industry reports and news articles relating to the case companies and the industry. Our goal from the qualitative data was to study the companies’ R&D networks, the rationale behind various R&D decisions and the details of innovation catch-up of R&D units. The quantitative database was drawn from patents fi led with the United States Patent and Trademark Office. We used patents to obtain a wide range of information about the innovation capabilities embedded within the two MNEs’ R&D networks. The AMNE Vestas: Vestas is an industry pioneer that has provided numerous innovations and new products. It has a global R&D network consisting of in-house units around the world established through Greenfield FDI in both emerging and advanced economies. To a large extent, Vestas’ R&D internationalisation strategy has been driven by the objective of tapping into local competencies and to internalise new knowledge. The functional responsibilities of Vestas’ R&D units are determined by the mandate that the headquarters in Denmark delegates. However, the initial mandate assigned is not static. For example, Vestas’ R&D centre in Chennai, India, evolved from the initially assigned competence exploitation mandate to competence creation. The centre was established as a R&D back-office with the purpose of attracting engineers who primarily did supplementary work on the existing functions of the development department. The centre also focused on other activities such as IT and R&D documentation. Vestas headquarters primarily transferred knowledge to this subsidiary to initiate its activities. However, after Vestas management recognised the strengths in local talent and competencies, it was decided that higher levels of responsibility should be transferred from the global headquarters in Denmark to Chennai. The subsidiary began the process of innovation with the headquarters and the other units in Vestas. By establishing R&D subsidiaries in foreign locations, MNEs can, among other things, gain access to different national innovation systems, facilitate technology adaptation and create new alliances with customers, competitors, universities and public R&D institutes. The EMNE Suzlon: Compared to Vestas, the Indian wind turbine manufacturer Suzlon is an industry late entrant but a fast-follower. It entered the Indian market in 1995, became the domestic market leader by 1999 and began internationalising in 2000. By 2009, it was operating in 21 countries and offered a diverse portfolio of wind turbines. The combined worldwide market share of Suzlon and its subsidiaries was about 10 percent in 2009, making it the third largest manufacturer worldwide. Suzlon began internationalising in the early 2000s by acquiring smaller European firms. Its initial acquisitions mainly followed an outputoriented strategy to gain the ability to produce the state-of-the-art wind turbine. Output orientation in the initial years is a characteristic of EMNEs as it helps in setting up their international business and results in rapid output catch-up. However, this orientation evolves as the firm looks to obtain higher end R&D knowledge. Suzlon soon began focusing on targets that possessed significant R&D knowledge in different technologies and were active innovators. The company’s changing orientation to innovation catch-up is evident in its greenfield R&D subsidiaries and later acquisitions, including its largest acquisition of REpower Systems AG. REpower was a large turbine manufacturer from Germany, whose product portfolio included the largest multi-megawatt offshore wind turbine. REpower was acquired with the goal of accessing its R&D knowledge and making it available in Suzlon’s global network of subsidiaries to build innovation capabilities. However, the actual knowledge transfer did not begin from this acquired subsidiary. For seven years since acquisition, Suzlon tried to access R&D knowledge from REpower and fi nally sold the subsidiary in 2015. In explaining R&D internationalisation, the current research on AMNEs has largely focused on the twin strategies of competence exploitation and competence creation. Under competence exploitation, the root technology is created in the home country — often at a central R&D unit co-located with headquarters — and the foreign subsidiary mainly exploits its parents’ competencies. Based on our analyses, we found that both MNEs are responding to the growing geographic dispersion of knowledge sources by expanding their R&D networks. For Vestas, the goal of R&D internationalisation was to connect to the local talent in the overall technological areas thereby supporting its R&D activities in Denmark. Vestas headquarters played a key role in knowledge coordination and integration. The headquarters provided most of the within-fi rm knowledge to the subsidiaries enabling their innovation catch-up. Unlike Vestas, Suzlon’s goal of R&D internationalisation was to access foreign firms’ knowledge in key wind technologies. In the initial years, this knowledge was used to make the latest products and increase Suzlon’s business. Later on, Suzlon acquired firms with significant R&D base and attempted to access their knowledge to develop innovation capabilities and undertake innovation catch-up. While innovation catch-up is central to both R&D internationalisation cases, we find that the processes are inherently different. Specifically, in the AMNE context, the subsidiaries catch up with the headquarters, whereas in the EMNE context, the headquarters catches-up with the subsidiaries. For AMNEs, the greenfield R&D subsidiaries are initially at a lower knowledge level than its headquarters. The primary knowledge transfer in this case takes place in the form of a “teaching” fl ow from headquarters to the subsidiaries. In contrast, the EMNE is more likely to experience that its foreign R&D subsidiaries are at a higher knowledge level than its headquarters. Thus, the main drivers of EMNE headquarters’ innovation catch-up are the “reverse” knowledge fl ows from these subsidiaries to the headquarters. These differences in the two R&D networks are fundamental. Given EMNE parent’s knowledge-backward status relative to its foreign R&D affiliates, the headquarters needs to negotiate with the subsidiary to initiate the reverse knowledge fl ow. We term this process as knowledge accessing. This is in contrast to the AMNE where it is the headquarters that initiates the more conventional teaching knowledge fl ow – that we call knowledge sourcing. It is well established that the control of knowledge enhances the bargaining power of MNE units as they enjoy an information monopoly within the MNE. The source units may use their knowledge advantage to retain relative power, creating concerns of opportunism, holdup and knowledge hoarding within the organisation. This intra-MNE power play implies that the source unit managers may not always have the motivational disposition to transfer knowledge to the target but may focus on rent-seeking instead. When the source unit is the headquarters and the target is the subsidiary (as in our AMNE case), this power play is less of a problem. The headquarters has both legal and legitimate authority on the basis of which it often creates and updates the subsidiary’s R&D mandate and initiates the knowledge transfer. Headquarters uses its authority to make sourcing a smoother process to facilitate subsidiary’s innovation catch-up. Consequently, the subsidiaries are more likely to experience less autonomy and more headquarters control. In principal-agent terms, this case can be seen as the principal (headquarters) providing resources (knowledge) to the agent (R&D subsidiary). However, when the headquarters is the target accessing knowledge from a powerful subsidiary source (as in the EMNE case). A different picture emerges, specifically, as the subsidiary (the agent) is more knowledge-advanced and thus powerful than the headquarters (as was the case in Suzlon’s acquisition of REpower), its opportunistic and rentseeking behaviour could become a problem. For example, REpower used German law and exercised its power to refuse to share its advanced R&D knowledge with Suzlon, even when Suzlon was its majority shareholder. Suzlon had to negotiate with REpower, even to initiate the transfer of low-end manufacturing knowledge. Hence, due to its superior knowledge, the subsidiary has a stronger bargaining power vis-à-vis the EMNE headquarters, and may exploit this for opportunistic reasons. Output orientation in the initial years is a characteristic of EMNEs as it helps in setting up their international business and results in rapid output catch-up. However, this orientation evolves as the firm looks to obtain higher end R&D knowledge. Taken together, we argue that while the EMNE headquarters tries to access knowledge, it cannot simply instruct its powerful subsidiary to initiate the knowledge flow but may have to interact closely and negotiate with the subsidiary over the details of the knowledge transfer. Assuming comparable transmission channels and target learning ability, both in the sourcing and the accessing scenarios, we argue that accessing would be a longer and more difficult process as compared to sourcing. As a result, the innovative capabilities of EMNE headquarters are likely to develop more slowly and with greater difficulty than those of AMNE subsidiaries. Our study has important implications as to how we understand EMNE R&D internationalisation. We stress that EMNE R&D internationalisation should be seen as a process of catching-up. In order to access technologies and skills that are not ‘off-the-shelf ’, emerging economy firms undertake asset-seeking investments in firms, often located in advanced economies, with state-of-the-art technologies and established R&D facilities. This is in stark contrast to the internationalisation of AMNEs’ R&D activities which to a large extent has been explained in terms of the twin strategies of competence exploitation and competence creation. Obtaining technology through acquisitions results in output catch-up in which the EMNE exploits the acquired firms’ competencies to manufacture state-of-the-art product. Innovation catch-up requires sustained and focused efforts through the establishment and adequate support of competencecreating units. The development of innovation capabilities is harder than output capabilities for both AMNEs and EMNEs. However, AMNEs main knowledge base is at headquarters, unlike EMNEs that primarily rely on accessing knowledge from their foreign acquisitions. Hence, EMNEs are more likely to be exposed to subsidiary opportunism, making their innovation catch-up even harder and slower. This implies that EMNE managers must be extra vigilant when deciding and executing acquisitions, especially when the targets are larger. 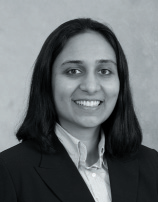 Snehal Awate is Assistant Professor of Strategy at the Indian School of Business. 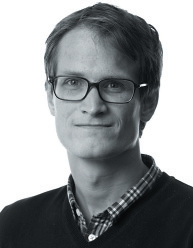 Marcus M Larsen is Assistant Professor at the Department of Strategic anagement and Globalisation at the Copenhagen Business School. Ram Mudambi is Professor of Strategy at the Fox School of Business in the Temple University.